If you’re not following The Mobros on social media you’re doing something wrong. Crazy story, about a year ago in the midst of a 4 month tour their van was broken into and most of their equipment stolen the night they pulled into San Francisco. Included was Kelly Morris’ Grandfathers classical guitar, something irreplaceable. They turned into detectives, and went on a wild chase for their equipment that you’ll have to read for yourselves to believe. Just weeks ago they got the guitar back. Between their crazy tour stories and their Flower Couch Sessions where they bring in musicians from not only South Carolina, but beyond their always living and breathing the music life. They’ll be joined both nights by Grace Joyner, who is working on new material herself. Her song “Dreams” was recently featured on the popular CW show Riverdale. 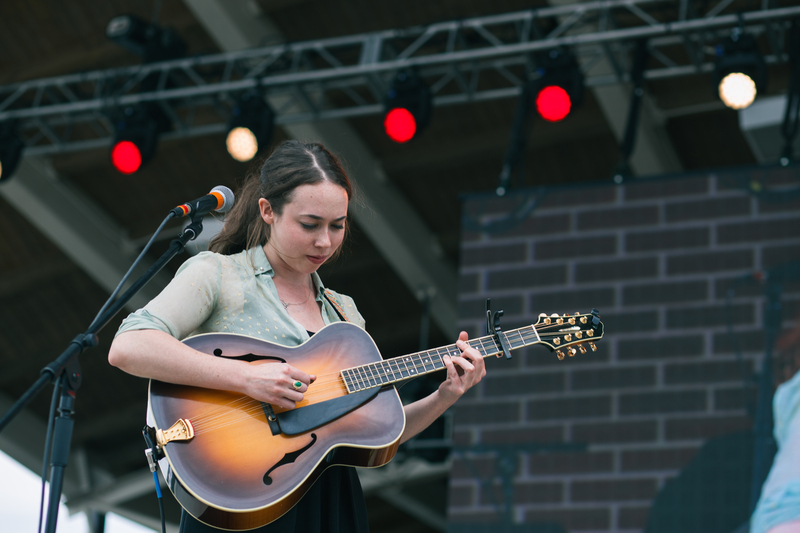 Sarah Jarosz show April 1 at the Peace Center’s Gunter Theatre is already sold out, but stop by Horizon Records and Bohemian at 5 PM before the show and you’ll get to hear a short set and pick up her latest album Undercurrent. In 2014 Jarosz was nominated for two GRAMMYS, but didn’t win. That changed in 2017 when she was nominated for two more and took home both for Best American Roots Performance, and Best Folk Album. This Friday Dangermuffin release their latest album Heritage, the anticipated follow-up to their 2014 album Songs of the Universe. In their interview with Charleston City Paper they referred to the new album as “Acousticmuffin”. Heritage trends acoustic any many ways, still retaining their coastal grooves, but blending in more of an Americana and roots vibe. There’s something serene and soothing in their new song “Ancient Family”, the melody flows from line to line and then the little instrumental hook in the chorus just ties it all together. After this show the band will continue to pound the pavement, heading up and down the East coast in April and out West in May.